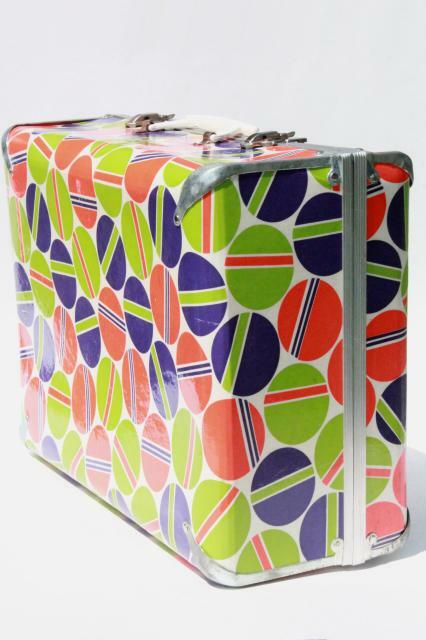 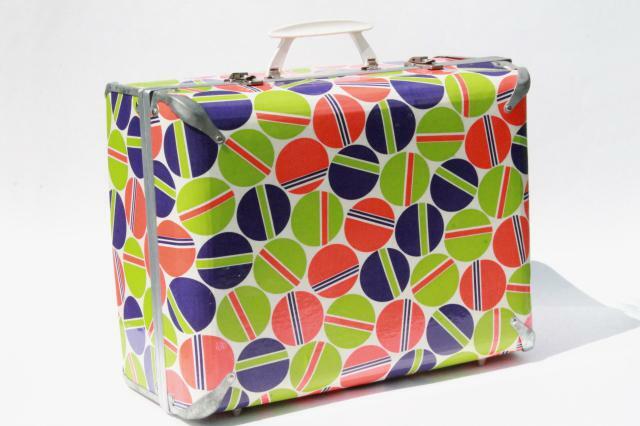 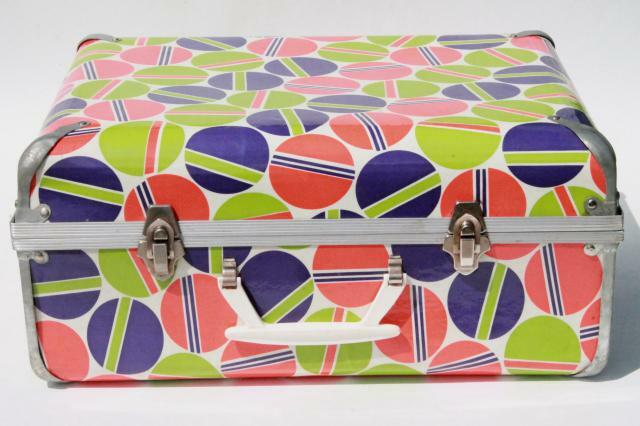 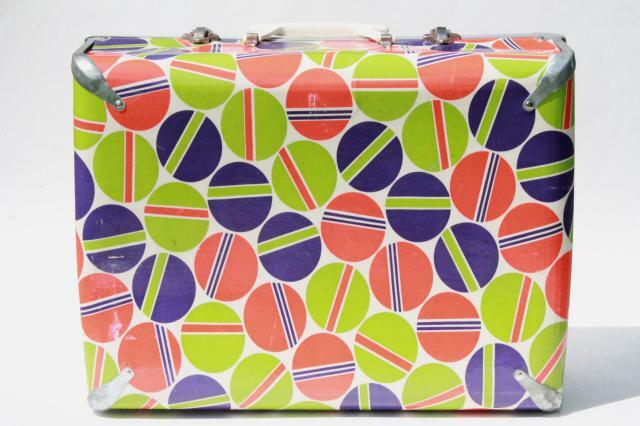 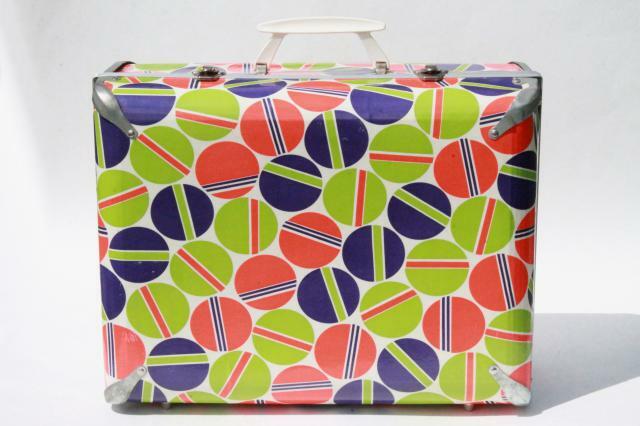 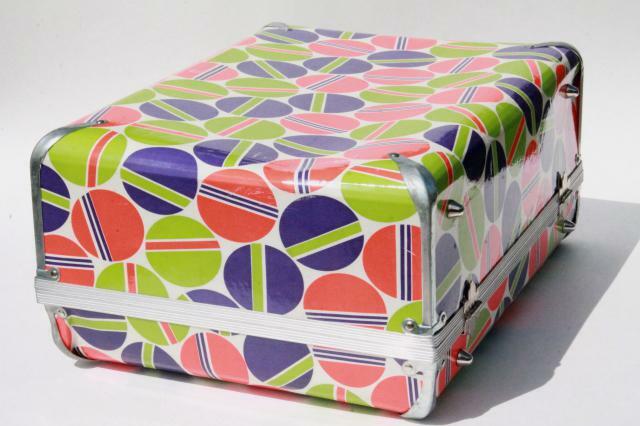 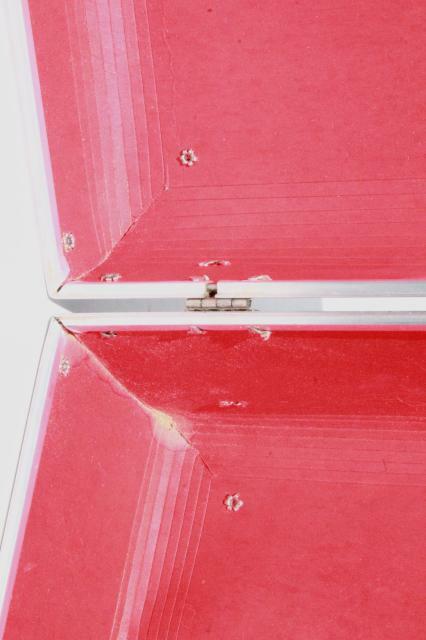 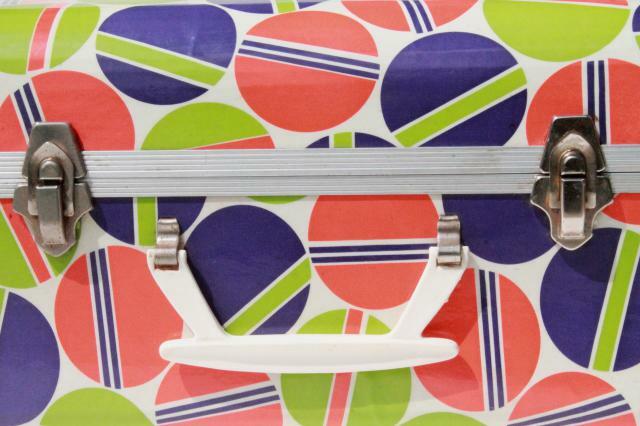 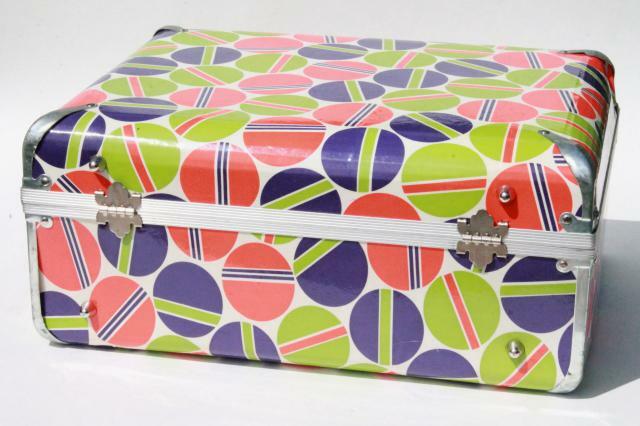 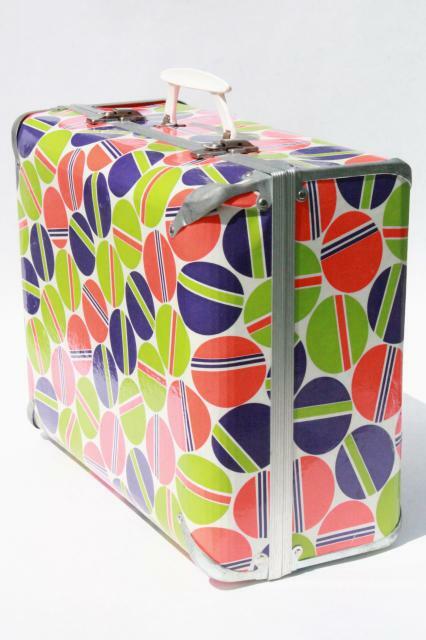 Glossy cardboard suitcase with metal trim and plastic handle, and a very retro print! 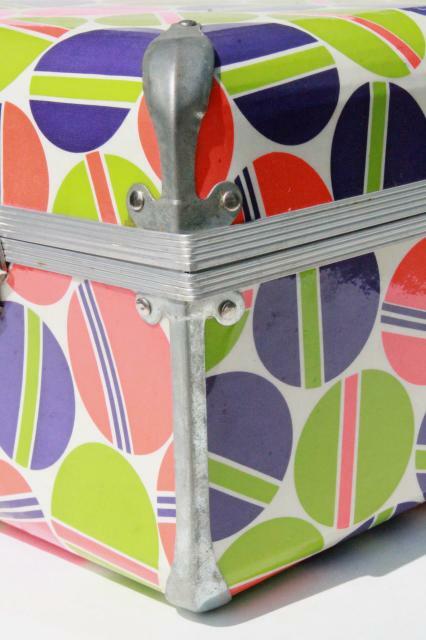 I don't believe this would carry a lot of weight or take much in the way of wear and tear - but it would make a great storage piece for clothes, craft or party supplies, or holiday decorations. 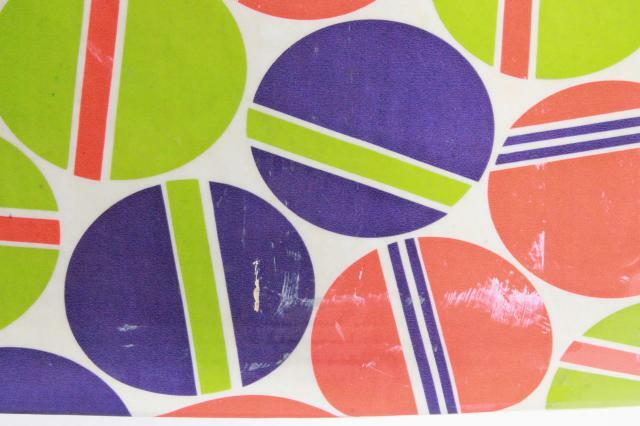 This measures 16" x 11 1/2" x 7" overall, and looks clean and in fairly good condition overall. 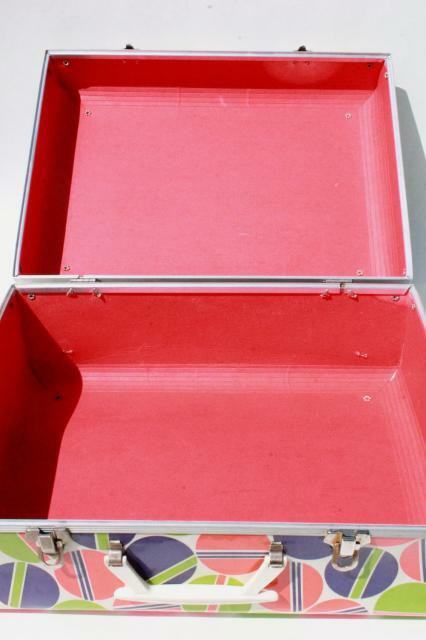 It's been used, and isn't perfect, but it's from a smoke-free home and is nice and bright without fading.